Mumbai: International carriers that were continually adding capacity into India in the last one year are feeling the heat of economic downturn and have started pulling out their services from the country. Even as few carriers are still increasing the number of flights to India, carriers such as Singapore Airlines, British Airways, KLM Royal Dutch Airlines and Austrian Airlines are either pulling out or reducing capacities on India routes. “Companies and consumers have quickly tightened their travel budgets, leading to a decrease in load factors and high-margin business class travel across most of the globe," Standard and Poor’s credit analyst Tammy Garay wrote in a report on airports on Wednesday, pointing out that some airlines have also succumbed to the downturn. The International Air Transport Association, or Iata, an international trade body representing some 230 airlines comprising 93% of scheduled international air traffic, had said international passenger traffic declined 2.9% in September compared with the same month in 2007. International load factors tumbled by 4.4 percentage points from August to 74.8% in September. “The deterioration in traffic is alarmingly fast-paced and widespread. We have not seen such a decline in passenger traffic since SARS (outbreak) in 2003," Giovanni Bisignani, director general of Iata and chief executive, said in a statement last month. SARS refers to severe acute respiratory syndrome, a flu-like condition. The trend till date was that majority of the international carriers were delaying or cancelling their services routes to several countries except India even in the downturn, considering the country’s market potential. “Now passengers are just not travelling, with companies resorting to video conferencing due to cut in the travel budget. Several international carriers are mulling reduction in the frequencies or pulling out from India," said a senior executive with Kingfisher Airlines Ltd.
Kingfisher has postponed its overseas expansion plans while rivals Jet Airways (India) Ltd and National Aviation Co. of India Ltd, that runs Air India, have also put global expansion on hold. Gunjan Chanana, public relations manager (India) with Singapore Airlines said the carrier has reduced the frequencies to Bangalore and Chennai in the current northern winter schedule. “The Bangalore and Chennai flights have been reduced to daily flights from 10 flights a week and 11 flights a week, respectively. We are reducing our capacity for the time being since the demand is not up to the capacity deployed on these routes," Chanana said. Additionally, service to Amritsar by Singapore Airlines will be withdrawn from 4 February. “Customers booked on flights to and from Amritsar will be reaccommodated on Singapore Airlines flight to and from Delhi," it said in a statement. 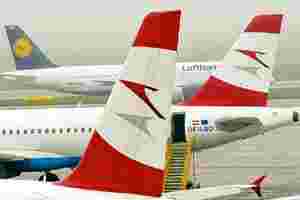 Austrian Airlines has also said it will stop operating to Mumbai from 1 March. “As a result of drastic overcapacity between European airports and the city in south-western India, the weakening Indian economy and the consequences of the crisis in European financial markets, it is no longer possible to operate this route profitably in the medium term," Austrian said in a statement. Meanwhile, British Airways has decided to suspend its flights between Kolkata and London Heathrow from 28 March. The airline has operated flights to Kolkata intermittently since the 1930s and currently operates three flights per week. “The decision to suspend flights between Kolkata and London has been a difficult one to make. However, the route is not making a profitable contribution to our business and we are unable to sustain it," Amanda Amos, British Airways’ area commercial manager South Asia, said in a statement. “India remains an incredibly important market for British Airways and we continue with our growth plans on routes that we believe will be profitable." British Airways, however, will be operating five flights a week from Hyderabad to London from 7 December. In another development, KLM Royal Dutch Airlines has also decided to pull out from its daily services to Amsterdam from Hyderabad, starting February. An email sent to KLM remained unanswered but a senior executive from Hyderabad International Airport, run by GMR Group, confirmed the development. “KLM has informed the airport that they would be discontinuing daily operations from February next year," the executive, who did not want to be identified, said. Still, carriers such as Air Asia, Sama Airlines and Scandinavian Airlines are adding India as a new destination while West Asian carrier Emirates announced a second round of expansion for India, adding 31 weekly flights to its existing 132 by February. This will position Emirates as the single largest international carrier in India.